Due to human nature, sometimes we make assumptions that are so ingrained in our minds that we don’t even realize we are making them. 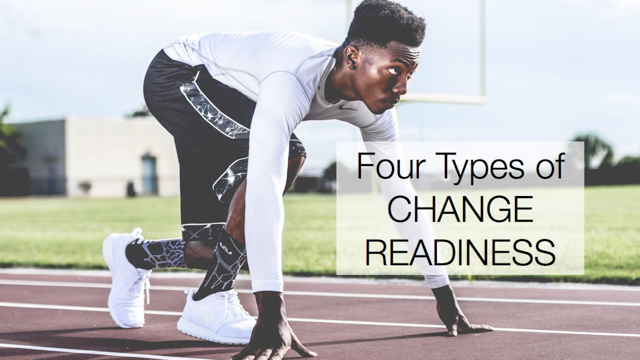 When it comes to implementing change, these blind spots can get in the way of taking proper action – or even realizing that action is a possibility. A former boss used to tell new employees, “Take notes about everything you think is messed up now. In 6 months, you’ll be part of the problem.” When a new employee first enters a new environment, he sees things as an outsider. The behaviors and processes that are different or troublesome are more noticeable. As he starts to modify his own behaviors to fit the culture and learns how to operate within the existing processes, the tension and attention is reduced. This assimilation is what helps him to be successful as an employee of that organization. One of the key challenges of being an internal change agent is that the same forces that are acting on everyone else in the organization are also acting on you. The more you get used to the way things are, the less you can see how it can be different. As you go about implementing change in this fuzzier-yet-comfortable state, the realm of possibilities – in both problems and solutions – shrinks. These blind spots happen all the time. Teams remain ineffective since members have learned to work together without addressing core trust issues. Elephants stay invisible because employees who point them out are essentially shushed. Managers continue poor behaviors when people shrug and say, “That’s just Steve.” Employees, even those who are responsible for making the organization better, learn to turn their attention away from things that seem especially out of their control. Learn and observe. The more you remind yourself of what can be, the more dissonance you will have with the current state within your organization. Read books, attend training, and network so you can see how other organizations do things. Observe your organization through the lens of what you learn to increase your awareness. Find an objective point of view. Things always look different from outside. Talk to someone who can shine a light on your assumptions and help you see your own blind spots. Go even further and partner with someone who will help you decide which assumptions to challenge and work with you to figure out how. When you are an internal change agent, one danger is that you don’t know what you used to know. Proper action in support of your change initiative is dependent on your search for possible problems and solutions. Keep your eye out for blind spots that have been created over time by the cultural forces exerted on you by the organization.